This bag is truly extraordinary. 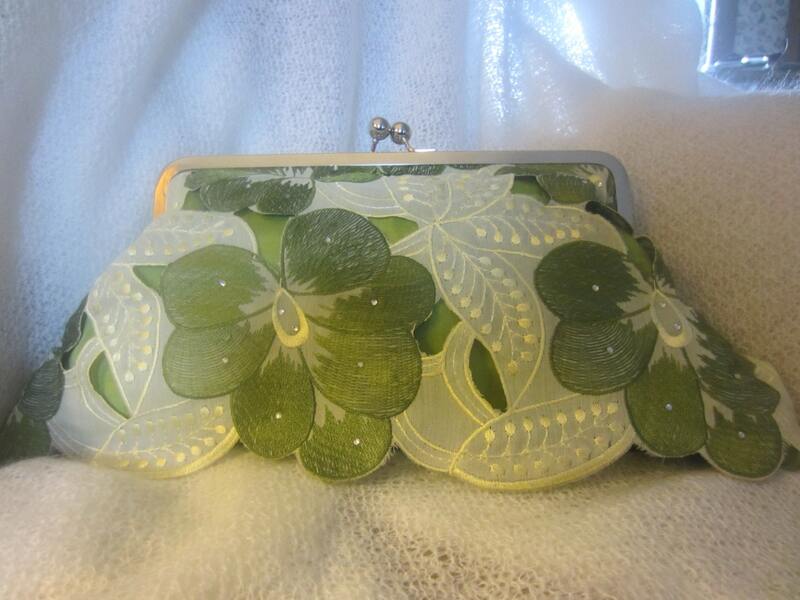 This is an embroidered floral bag with cut outs layered on top of green silk satin. It is adorned with hand placed crystals for a little bling. The floral fabric is scalloped on the bottom which adds another element of beauty. 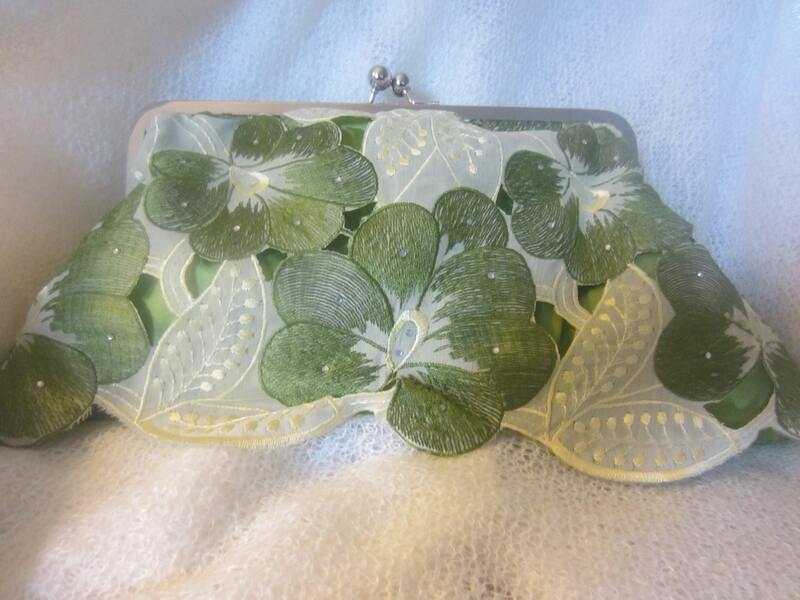 It is lined in the same green as the exterior of the bag and has an 8" silver kiss-lock clasp. This bag is large enough to carry everything you need. I have only enough of this beautiful fabric to create 3 bags so it will truly be unique.